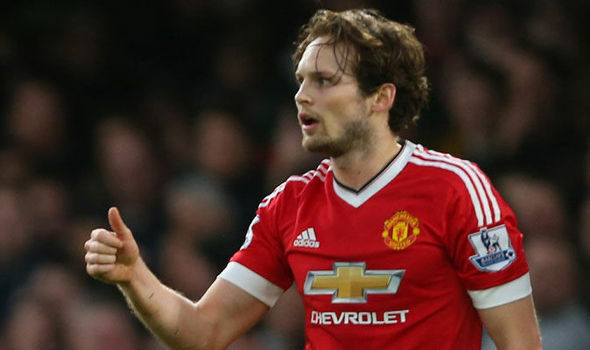 AS Roma have reportedly made a surprise attempt to sign Daley Blind from Manchester United this month. The Netherlands international, who is currently recuperating from an ankle injury, has just five months remaining on his existing deal at Old Trafford. According to Gianluca Di Marzio, the Giallorossi have opened up negotiations with United for Blind, who is seemingly open to a fresh challenge elsewhere. Blind has not started a Premier League game under Jose Mourinho since August, and his gametime has become limited as the season has gone on. Both Ashley Young and Luke Shaw are preferred ahead of him for the left-back position, whilst his chances of establishing himself as a centre-back are minute with Mourinho stressing that he would rather work with specialists in his first-team squad. Blind has previously been linked with Bosman moves to Juventus and Barcelona, but Roma appear keen on pushing through the deal before tomorrow’s transfer deadline, though Jose Mourinho could be reluctant to lose the defender just past the half-way stage of the season. The former Ajax man currently has a 12-month extension clause present in his United deal, and the club have the luxury of activating the option in the coming months to command a reasonable transfer sum at the end of the campaign.